The Douro wine region in Portugal is not only famous for its red and port wine production. There is also a place were a wonderful sparkling wine is produced. 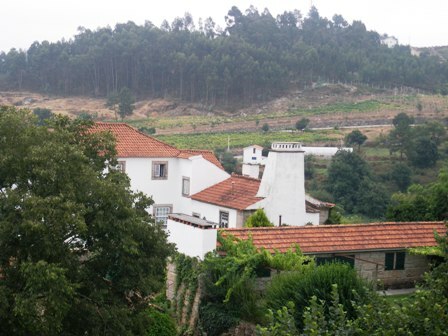 The picturesque town of Lamego, considered the birthplace of port wine, was the target of a Sunday afternoon drive last August along the upper Douro river. 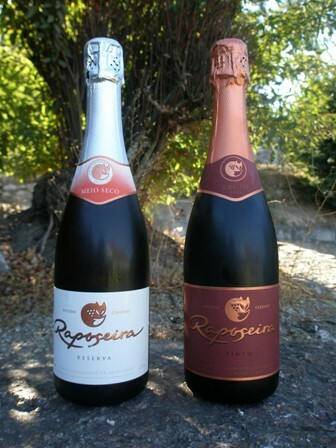 Lamego is well known for the only sparkling wine produced in this region. So off we went along the river through a wonderful summer’s landscape with blue sky and a very dry wind. 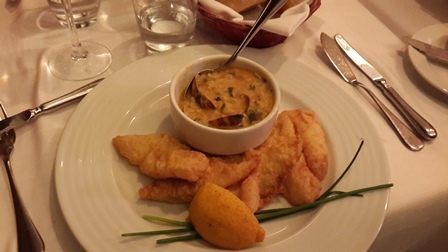 We drove up from Peso da Régua at the Douro where we had lunch and which is about 12 km from Lamego. We returned the same way except that we did not follow the Douro river on our way back but we took the highway through the mountains which was faster. As with all places in Europe, their history has been shaped by many a people. 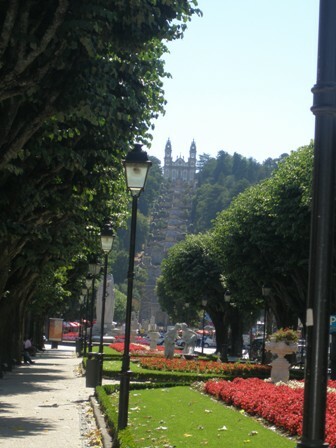 Lamego has seen Roman masters and the Visigoths, it was battleground in the wars of the Moors and Christians. 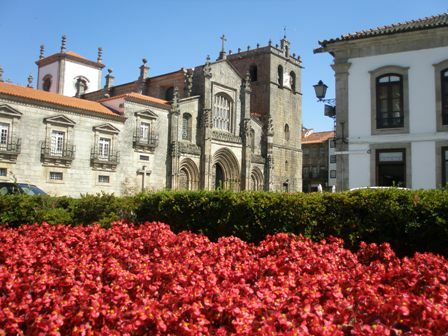 Historically Lamego is significant because it was here that the first king of Portugal, Alfonso Henriques, was declared king by noblemen in 1143. Today, Lamego has about 9000 residents in the city walls proper, and another 17,000 live in the surrounding villages and the countryside. Local produce can be bought from small shops – can you see our bottles? 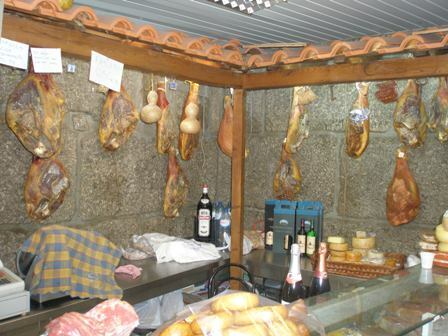 We dashed in one of these small local shops before the afternoon closure to buy two bottles of the legendary sparkling wine of Lamego. We grabbed the last two bottles available without consideration for brand nor price, jumped into the car and went straight home because of the advanced time. 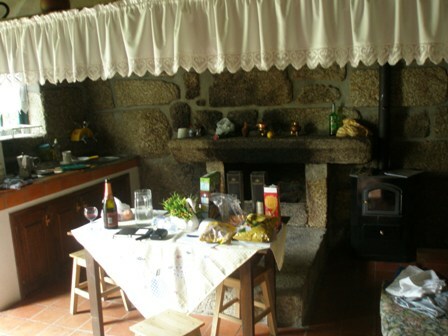 Later at home at Quinta do Gatao we chilled the bottles and I took the photos below. 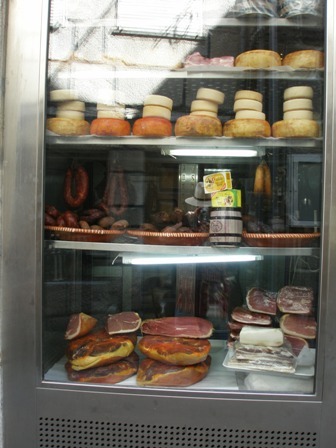 Our booty consisted of a dry red and a semi-dry white sparkling from Caves da Raposeira, located in Lamego. Both wines where very fruity. The red displayed red berry aromas, the white a more fruit salad type fragrance. 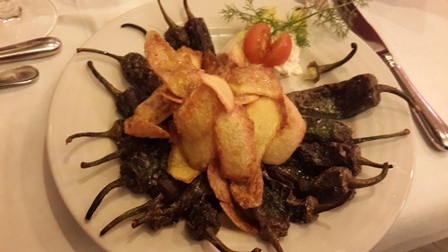 We tasted them before we had dinner, just like that, as a apperitif so to say, just delicious at a hot summers day. 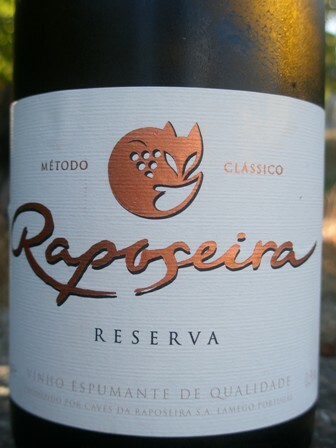 Both wines come from Raposeira’s flagship brand called “Reserva”, their premium and super-premium segments are called “Super Reserva” and “Old Reserva” respectively. We will have to try those another time. This is the second bottle. Our dash to Lamego was just too short. We have to come back and explore the Caves in the town proper. The wines we had secured, were very much to our liking. It’s a pity that we do not know where to get them here in Bangkok. 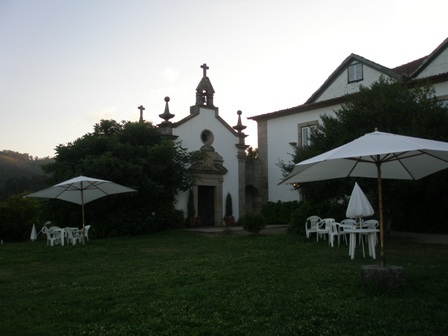 This summer we spent a wonderful week on Quinta de Gatão (www.quintagatao.com), near Penafiel, about 40 km east of Porto. 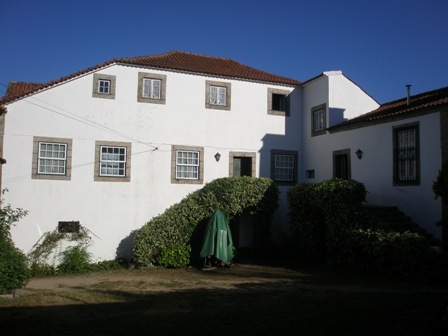 “Quinta” is either translated as “Farm/Vineyard/Winery” or “Manor house”. Quinta de Gatão is owned and managed by Mr. Jorge Coelho da Silva, a very lovely man who’s day job is being a professor at a teachers college in Porto. The property has been with the family since four generations. Five peasant families used to live and work there. Today, the vineyards are only cultivated every other year to produce vinho verde., a bottle of which waited for us in the fridge. In the mornings, fresh bread is delivred and you can find it hanging on the door. What a treat! The horse stable and the riding school were the main attractions for our daughters. The old folks were equally attracted by the vineyard feature. 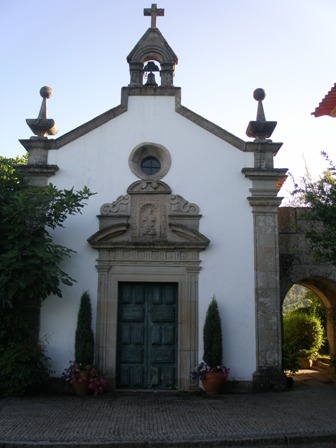 The Quinta de Gatão consists of a manor house with a chapel surrounded by various farm buildings. Some of these were converted into cottage type accommodation. We had rented one of them. Because of its elevation one has a magnificent view of the area which is quite densely populated. In comparison to the rural Australia we are used to around Glenburn, the housing sprawl in Penafiel is a bit too much. However, it does not seem fair to compare quasi empty rural Australia to the vicinity of a bustling port city such as Porto. We loved our cottage. 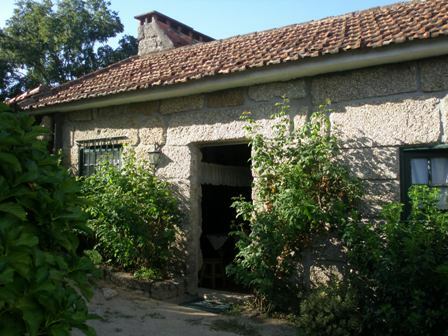 With its rustic rural charm it put a spell on all of us. The walls consisted of big granite stone blocks. It has a fire place in the kitchen, a bathroom and a bedroom with a loft (just as our home in Australia). The vines are providing shade, originally to produce vegetables and other crops underneath. 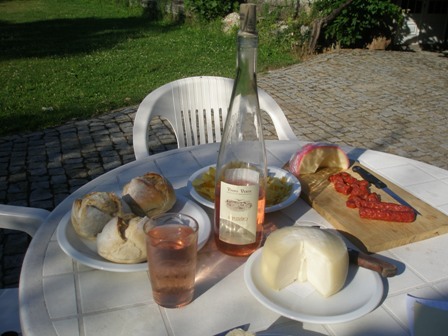 A typical snack in the afternoon consisted of Vinho Verde (here ni rose), country cheese, some sausages, olives and bread. 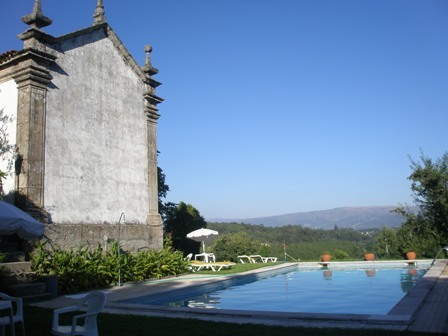 Apart from the riding stable and the riding arena, Quinta de Gatão has other facilities to offer its visitors. Among them is the beautiful swimming pool, a tennis court, and a large field to play all kinds of ball games; indoor entertainment such as kicker etc. and billyard is also available. 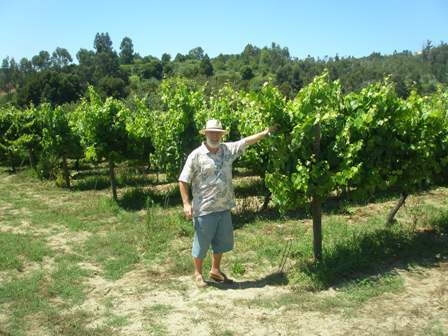 One can have long walks in the vineyards and the surrounding forests. We had a great time there and I can only highly recommend the place. Actually, we plan to return next year and spend some more time in this region. We had juts not sufficient time to explore the region. There is so much to see. The Douro is close by. Porto less an an hour away. But it is the hospitality of Mr. da Silva and his family which will draw us back. There are no words to describe the welcome we received on Quinta de Gatão. During our recent holiday in Portugal, we visited the Palácio da Bolsa, the splendid Stock Exchange Palace, in the city of Porto (Oporto). It is the most visited attraction in this historic city of Northern Portugal (more than 200.000 visitors per year). It was used as the first stock exchange in Portugal, among others the results of intensive international trade especially in port and other wines. Today, it is mainly a museum. The stock exchange has long moved to the capital city of Lisbon. The palace used to house the headquarters of the merchants guild. 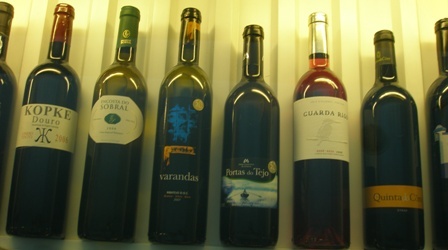 A modern “guild”, however, is still displaying its products there: Vini Portugal, the Portuguese Wine Trade Association, a mulit-stakeholder trade association to promote and support Portuguese wines at home and abroad (www.viniportugal.pt) maintains a small showroom in the basement. Having a wine tasting and display room in the Palácio da Bolsa is a great asset and a clever public relations strategy given that so many people from all over the world visit the historic building. 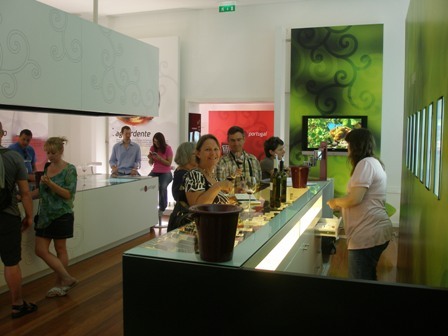 The guided tour includes an invitation to the free wine tasting in the Vini Portugal showroom. Wine enthusiasts such as us, had no choice but to pay it a visit and check out the place. 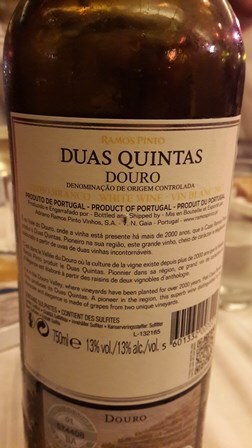 Two wines were open for tasting both from the Douro wine region, a ‘2006 Costa do Pombal’, a white blend (‘cuveé’ sounds much better than ‘blend’ which has a slightly negative connotation; even better is the word ‘composition’ which somehow stresses the artistic qualities of the wine maker) of Rabigato, Gouveio, Vions(h)inho and Arinto (that is what the lady wrote down for me) and a ‘2003 Borges Reserva’ (14.5 % vol./alc.) 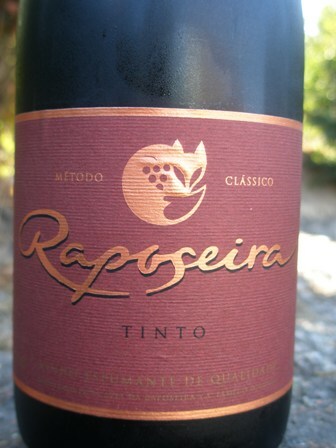 blend of Touriga Nacional, Tinta Roriz, and Touriga Franca. I liked both wines, though they remained a mystery to me. 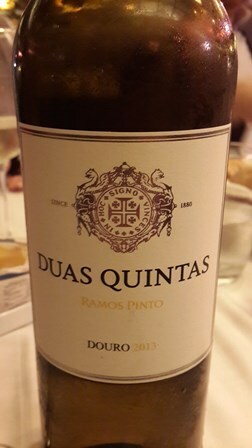 I need to taste more Portuguese wines to develop my palate. 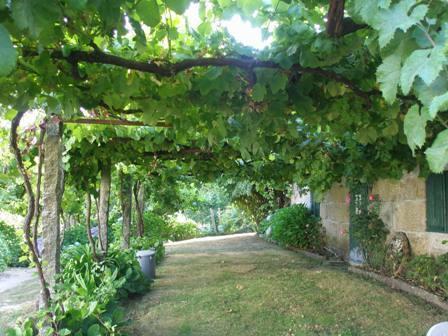 Portugal has more than 200 autochthone vine varieties, maybe the largest in the world. Many of them have not been explored outside Portugal and they might be a tremendous potential for future development.